‘We are pleased to report the results of the final quarter of Apple’s fiscal year ’13 with record four quarter iPhone sales, driving our highest September quarter revenue ever’ - Peter Oppenheimer - SVP, CFO. Customers had an incredible response to Apple’s product line up, buying a 150 million iPhone, 71 million iPads and 16 million Macs across the fiscal year. The company expanded the breadth and depth of its ecosystem and generated over $16 billion revenue from iTunes software and services. The company also welcomed almost 400 million visitors to our retail stores and opened or remodeled 49 new stores and for the second year in a row, produced over $50 million in revenue per store. Apple generated record total company revenue of $171 billion, earnings of $37 billion and operating cash flow of $54 billion. The company paid over $8 billion in capital expenditures to both to supply chain, expand infrastructure and increased its retail footprint and also completed 15 strategic acquisitions. That’s an average of one acquisition every three to four weeks. Apple more than doubled the size of capital return program to a $100 billion, including the largest share repurchase authorization in history and became one of the largest dividend payers in the world. In fact, the company returned over $36 billion to shareholders through dividend and share repurchases in the last five quarters alone. The management remains firmly committed to objective of delivering attractive returns to shareholders through both business performance and return of capital. The company is participating in large and growing markets. Today smartphone penetration of the global handset market is only a little over 50%. The smartphone category is expected to grow significantly in the next few years from about 1 billion units per year this year to over 1.7 billion in 2017. And the tablet market is growing at an even faster rate from about 225 million units this year to over 400 million in 2017. Apple is continuing to invest in R&D and distribution, expanding its geographic coverage and building upon a phenomenal, but still very young retail store presence. Revenue for the quarter was $37.5 billion, up $1.5 billion or 4% from the year-ago quarter, and slightly above the high end of the guidance range. Gross margin was 37% at the high end of the company’s guidance range, and operating margin was $10 billion, representing 26.8% of revenue. Net income was $7.5 billion translating to diluted earnings per share of $8.26. The company paid $2.8 billion in dividends in the quarter and executed an additional $5 billion in repurchases up 10.4 million shares of Apple stock during the quarter. This brings to a cumulative total of $36 billion in payments for dividends and share repurchases over the last five quarters of which share buybacks were $23 billion. This has resulted in cumulative retirement of almost 47 million shares and represents 5% of the total shares outstanding prior to the launch of the company’s repurchase program. More than 44 million of these shares have been retired in the past two quarters alone. Board of Directors has declared a dividend of $3.05 for common share payable on November 14, 2013 to shareholders of record on November 11, 2013. The company anticipates that the additional deferral per device sold coupled with its sequentially greater unit volume expectations in the December quarter will result in about a $900 million sequential increase in the net amount of revenue deferred for software upgrade rights and non-software services. In total, Apple expects revenue to be between $55 billion and $58 billion compared to $54.5 billion in the year ago quarter and expects gross margins to be between 36.5% and 37.5% reflecting approximately a $105 million related to stock-based compensation expense. The company expects OpEx to be between $4.4 billion and $4.5 billion including about $585 million related to stock-based compensation expense and expects OI&E to be about $200 million and the tax rate to be about 26.25%. The company sold 33.8 million iPhones compared to 26.9 million in the year-ago quarter, an increase of 6.9 million or 26% and a new September quarter record. iPhone sales were ahead of company’s expectations and grew stronger year-over-year in each of its geographic segments. iPhone sales remain very robust in the U.S with comScore estimating that Apple was the leading smartphone manufacturer with a 40.7% smartphone subscribership for the three months ending in August. The company exited the quarter with about 14.3 million total iPhones in channel inventory, which represented a sequential increase of 3.3 million from the June quarter and placed at the low end of its target range of 4 to 6 weeks of iPhone channel inventory on a look forward basis. Based on the most recently published research, ChangeWave measured a 96% customer satisfaction rate among iPhone users and Kantar measured a 92% customer loyalty rate, significantly higher than the competition. And Apple believes that a great customer experience translates to much higher usage. In fact, Experian reported that iPhone users spend an average of 53% more time each day on their phone than android phone users. Apple sold 14.1 million iPads during the quarter compared to 14 million in the year-ago quarter. iPad sales exceeded the company’s expectations in the September quarter as the company approached its new product introductions. iPad sell-through was roughly equal to sell-in, so Apple exited the quarter with about 4.1 million units of iPad channel inventory within target range of four to six weeks on a look-back basis. In an August survey by ChangeWave, consumers who intend to purchase tablets within 90 days, 55% indicated they find the purchase of iPads more than four times the rate of the next most popular alternative. And of those who already own iPads, the survey measured a 99% customer satisfaction rate. The momentum of iOS devices in enterprise also remains incredibly strong. In its latest Mobility Index Report, Good Technology indicated that the iOS platform accounted for 95% of enterprise mobile app activations and 72% of all mobile device activations in the September quarter while iPad accounted for 90% of total tablet activations. Sales with 4.6 million Macs were above the company’s expectations, which is a 7% decline from the year-ago quarter. IDC estimates that the global personal computer market contracted by 10% during the September quarter indicating that Macs continues to gain share just as they have with 29 of the last 30 quarters. In late September, the company updated iMac with fourth generation Intel quad-core processors, new graphics, next generation Wi-Fi and faster PCIe flash storage options. Last week Apple launched new versions of MacBook Pro with retina display featuring fourth generation Intel core processors, faster graphics, long rate battery life and a more affordable price. 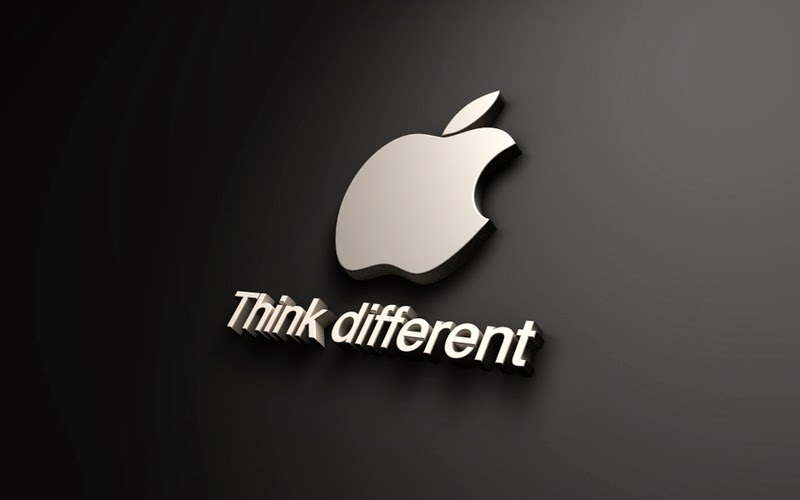 Also last week the company launched Mavericks, the 10th major release of OS X with more than 200 new features. Mavericks brings iBooks and Maps to the Mac, includes the new version Safari, enhances multi-display support, introduces Finder Tabs and Tags and delivers core technologies for breakthrough power efficiency and performance and is now free. Apple ended the quarter with Mac channel inventory that was just below its four to five week target range. The management continues to be very pleased with the growth of iTunes software and services in the strength of the Apple ecosystem. iTunes Stores generated record billings of $4.4 billion in the September quarter thanks to continued strong growth in sales of apps. The quarter's iTunes billings translated quarterly iTunes revenue $2.4 billion, up 15% from the year-ago quarter. The strong iTunes sales combined with other software and service revenue resulted in total quarterly revenue 4.3 billion from iTunes software and services, an increase of 22% year-over-year. Cumulative app downloads have reached 60 billion and app developers have now earned 13 billion from sales to the App Store, half of which they've earned in the last year. The company had a tremendously successful launch of iOS 7 last month with hundreds of millions of downloads in the first few days alone, making it the fastest software upgrade ever. The revenue for the quarter was 4.5 billion, up 6% from the year-ago quarter. The storage produced very strong iPhone sales with unit growth of 36% per store per week compared to the September quarter last year. The company completed the remodels of two stores and opened eight new stores during the quarter ending with a total of 416 stores including 162 outside the United States. The management is projecting a total of approximately 30 new store openings in fiscal year '14, about two-thirds of which will be outside U.S. The company also plans to remodel about 20 stores over the course of fiscal year '14. With an average of 411 stores opened in the September quarter, average revenue per store was 10.9 million compared to 11.2 million in the year-ago quarter. Retail segment income was 709 million. The company hosted 99 million visitors to stores during the quarter which translates to 18,500 visitors per store per week. Operating expenses were 3.8 billion and included 467 million in stock-based compensation expense. OI&E was 113 million and the tax rate for the quarter was 25.9%. ‘We believe putting customers first is the only reliable way to create lasting value for shareholders’, said Thomas J. Szkutak, Senior Vice President and Chief Financial Officer. Trailing 12-month operating cash flow increased 48% to $4.98 billion. Trailing 12-month free cash flow decreased 63% to $388 million. Trailing 12-month capital expenditures were $4.59 billion. This amount includes $1.4 billion in purchases of the company’s previously leased corporate office space as well as property for development of additional corporate office space located in Seattle, Washington, which was purchased in the fourth quarter of 2012. Return on invested capital was 3%, down from 10%. ROIC is TTM free cash flow divided by average total assets minus current liabilities excluding the current portion of long-term debt over five quarter ends. The combination of common stock and stock-based awards outstanding was 475 million shares compared with 469 million shares. Worldwide revenue grew 24% to $17.09 billion or 26% excluding the $332 million unfavorable impact from year-over-year changes in the foreign exchange rate. The management is grateful to its customers who continue to take advantage of low prices, vast selection and shipping offers. Media revenue increased to $5.03 billion, up 9% or 13% excluding foreign exchange. EGM revenue increased to $11.05 billion, up 29% or 31% excluding foreign exchange. Worldwide EGM increased to 65% of worldwide sales, up from 62%. Worldwide paid unit growth was 29%. Active customer accounts exceeded 224 million. Worldwide active seller accounts were more than 2 million. Seller units represented 40% of paid units. Cost of sales was $12.37 billion or 72.3% of revenue compared with 74.7%. Fulfillment, marketing, technology and content and G&A combined was $4.46 billion, or 26.1% of sales, up approximately 250 basis points year-over-year. Fulfillment was $1.96 billion, or 11.5% of revenue, compared with 10.5%. Tech and content was $1.58 billion, or 9.2% of revenue compared with 7.8%. Marketing was $671 million, or 3.9% of revenue, compared with 3.8%. In the North America segment, revenue grew 31% to $10.3 billion. Media revenue grew 18% to $2.61 billion. EGM revenue grew 33% to $6.73 billion, representing 65% of North America revenues up from 64%. North America segment operating income increased 1% to $295 million, a 2.9% operating margin. In the International segment, revenue grew 15% to $6.79 billion. Adjusting for the $327 million year-over-year unfavorable foreign exchange impact, revenue growth was 20%. Media revenue increased 2% to $2.42 billion or 9% excluding foreign exchange. And EGM revenue grew 23% to $4.32 billion, or 28% excluding foreign exchange. EGM now represents 64% of International revenues up from 59%. International segment operating loss was $28 million compared to a $59 million loss in the prior period. Consolidated segment operating income interested 15% to $267 million or 1.6% of revenue down approximately 10 basis points year-over-year. Excluding the unfavorable impact from foreign exchange CSOI increased 18%. GAAP operating loss was $25 million compared to a $28 million in the prior year period. The company’s income tax benefit was $12 million, GAAP net loss was $41 million $0.09 per diluted share compared with net loss of $274 million or $0.60 per diluted share. The third quarter 2012 included a loss of $169 million or $0.37 per diluted share related to the company’s equity method share of losses recorded by Living Social primarily attributable to impairment charge of certain assets including goodwill. Turning to the balance sheet, cash and marketable securities increased $2.44 billion year-over-year to $7.69 billion. 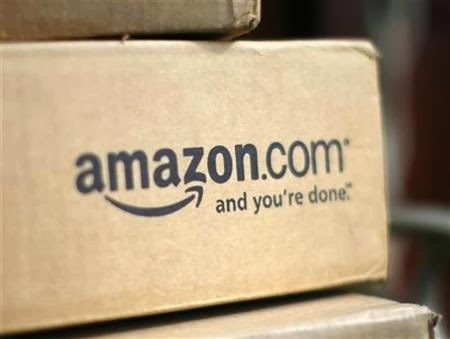 Inventory increased 20% to $6.07 billion and inventory turns were 9.2, down from 9.7 turns a year ago as Amazon expanded selection, improved in stock levels and introduced new product categories. Accounts payable increased 20% to $10.04 billion and accounts payable days was 75 consistent with the prior year. For Q4 2013, Amazon expects net sales of between $22.5 billion and $26.5 billion, a growth between 10% and 25%. This guidance anticipates approximately 125 basis points of unfavorable impact from foreign exchange rates. GAAP operating income or loss will be between a $500 million loss and $500 million in income compared to $405 million income in the fourth quarter of 2012. This includes approximately $350 million for stock-based compensation and amortization of intangible assets. The company anticipates consolidated segment operating income or loss, which excludes stock-based compensation and other expense to be between $150 million loss and $850 million income compared to $678 million income in fourth quarter 2012. Microsoft delivered record first quarter revenue. This holiday, the company will see competitive opening price points on tablets and laptops, such as the Dell Inspiron 15 for less than $300 and will also see exciting mobile devices from six inch phones to 10 inch tablets, many with Microsoft Office. In the six inch category, Microsoft is incredibly excited by the Nokia Lumia 1520 tablet announced this past Tuesday. For eight inch tablets, Toshiba, Dell, Lenovo will have devices available for less than $300 and for 10 inch tablets; the company of course likes the Nokia Lumia 2520 with LTE. Total revenue was up 7% to $18.6 billion and came in at about $700 million better than the company’s expectations. Without the impact of foreign exchange, revenue would have been $200 million or one percentage point better. Annuity revenue was particularly strong and grew 11%, driven by commercial performance. Cost of goods sold increased 23%, which was in line with the company’s expectation of over 20% growth. 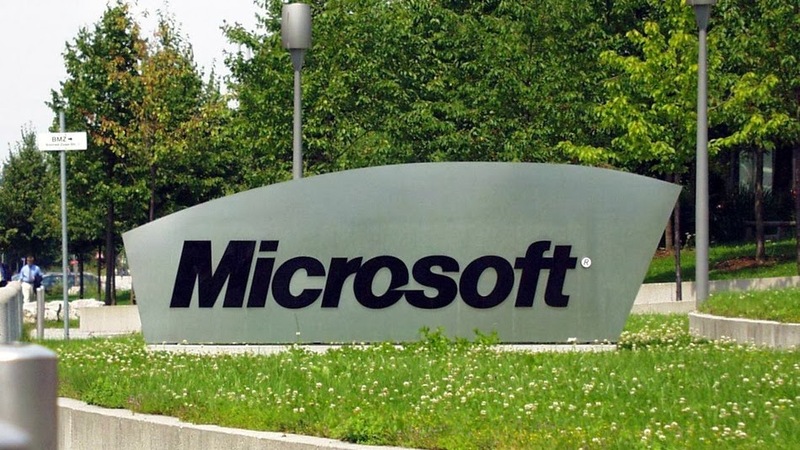 This increase was primarily due to service cost and also higher depreciation related to the CapEx investments Microsoft made this quarter for cloud services strategy. As a result, gross margin grew 3% to $13.5 billion, reflecting the changing mix of revenue. In R&D, Microsoft is continuing to focus its resources while accelerating cadence. Operating income and earnings per share, both declined 3% to $6.4 billion and $0.63, respectively. Unearned revenue grew a healthy 14% to $20.1 billion and the company’s contracted not billed balance grew to over $21 billion, driven by commercial strength. Microsoft’s inventory balance sequentially increased by $675 million, mostly due to build the Xbox 360 and Xbox One. Ahead of holiday selling season, Xbox represents over half of the company’s inventory balance. Inventory for Surface products declined sequentially even as the company built levels ahead of this week Surface 2 and Surface Pro 2 launches. This quarter, Microsoft announced a 22% increase in its quarterly dividend to 28% and also announced $40 billion share repurchase program. The company returned $3.8 billion of cash to shareholders, high quarterly amount since the second quarter of fiscal 2011. Microsoft’s devices and consumer licensing segment is comprised principally of Windows OEM, consumer office and Windows Phone, including related patent licensing. Windows OEM business performed better than expected, declining 7% versus the company’s expectation of a mid-teens decline. The management believes it is seeing stabilization in business PCs, which grew again this quarter and drove Pro revenue growth of 6%. The company also saw better than expected performance in the consumer part of business. Non-Pro revenue declined 22%, but with several points better than expected. Excluding the impact of China, which continues to have a different dynamics than other emerging markets, non-Pro revenue declined 17%. Moving to Devices and Consumer other. As a reminder, this segment includes the online marketplaces, advertising, Xbox Studio, Office 365 Home Premium and other consumer products and services. This quarter revenue growth in this segment was driven by both an increase in advertising revenue and also volumes in online marketplaces. Search advertising revenue grew 47% driven by continued revenue per search improvements and query volume growth. Bing has now grown its share of search queries in the U.S. to 18%. Gross margin declined slightly due to higher royalty costs and also infrastructure cost growth as the company expanded geographic footprint of its services. Moving to Commercial Business. With all up commercial revenue across both on-premise and cloud services grew 10% this quarter. Notably even as the company invests for growth, it saw gross margin expansion in commercial cloud business. Across commercial portfolio, the company saw healthy renewal, a continued shift to premium products and strong adoption of its cloud services. Microsoft’s enterprise cloud strategy is resonating with customers and server product revenue grew 12%. SQL Server revenue grew double-digit with SQL Server Premium revenue growing over 30%. Office products also remained strong and grew 11%. Within this, SharePoint, Exchange and Lync collectively grew double-digits with Lync growing nearly 30%. Helping to drive this demand for Server and Office product is deployment of hybrid cloud solution. This quarter, revenue for the company’s commercial cloud services grew over 100% as services such as Office 365, innovative Azure services for comprehensive cloud solution. Revenue in the Commercial Licensing segment grew 7% and in Commercial Other segment, revenue grew 28% to $1.6 billion. As a reminder, Corporate and Other is where Microsoft consolidates adjustments for tech guarantees, pre-sales and the like. In the comparable quarter of last year, the company had aggregate deferrals of $1.4 billion for Windows and Office and this quarter deferred $113 million, primarily related to Windows 8.1 pre-sale. In Licensing, Microsoft expects revenue to be $5.2 billion to $5.4 billion. This range reflects similar dynamics to what the company saw in the first quarter. As noted earlier, the company expects the business PC market to be stable; however, the consumer PC market is subject to more volatility. In Hardware, the company expects revenue to grow 35% to 45% to $3.8 billion to $4.1 billion, reflecting the expanded Surface line up and the much anticipated Xbox One launch. The 10 percentage point range reflects variability in device unit volumes. In the consumer hardware business, such variability is not uncommon, especially during launches and the holiday season. In Devices and Consumer Other, the company expects revenue to be $1.7 billion to $1.8 billion. Search revenue should continue to grow reflecting improved revenue per search and query volume. As a reminder, in Q2 of the prior year, Microsoft launched Halo 4, which contributed $380 million of revenue to this segment. The company expects revenue to grow 9% to 11%, in line with the first quarter. In Commercial Licensing, Microsoft expects revenue to be $10.7 billion to $10.9 billion, with similar dynamics to what it saw in the first quarter. This includes healthy renewals and strong annuity revenue growth from volume licensing with Software Assurance. In Commercial Other, the company expects revenue to be $1.7 billion to $1.9 billion, reflecting ongoing momentum in its commercial cloud business and enterprise services. As CIOs increasingly look to capitalize on the opportunities of cloud computing, the management is confident they will continue to look to Microsoft for their IT solutions. Moving on to cost of revenue, the company expects it to be $7.9 billion to $8.3 billion next quarter. This range primarily relates to the unit variability assumed in hardware revenue. Microsoft expects OpEx to grow 6% to 8%, to $8.5 billion to $8.6 billion. The company also reaffirms its full-year guidance of $31.3 billion to $31.9 billion. The company continues to invest in innovative experiences for its customers while remaining focused on expenses. Microsoft still expects full year capital expenditures to be about $6.5 billion, even though the company only spent $1.2 billion in the first quarter. Given the nature of the investments, there is variability from quarter-to-quarter due to company’s success based approach as well as the timing of delivery and completion. The company expects its tax rate for the full year to be between 18% and 20%, depending on its geographical mix of earnings. When adjusting for tech guarantees and product deferrals, Microsoft expects unearned revenue to be roughly in line with historical trends. Q3 marked another quarter of strong operational execution, both in terms of financial results and pipeline advancements. Solid topline revenue growth and expense controls produced a 41% increase in non-GAAP earnings per share. And in the last eight months, Eli Lilly has completed eight U.S., European and Japanese regulatory submission for four potential new medicines; Empagliflozinm, insulin glargine product in collaboration with Boehringer Ingelheim, dulaglutide and ramucirumab. The company had a number of clinical data readouts, including positive readouts for SQUIRE, a Phase 3 study investigating necitumumab as first-line treatment for squamous non-small cell lung cancer and for RAINBOW, a Phase 3 study of ramucirumab as combination therapy in patients with advanced gastric cancer. In both studies, Eli Lilly saw increased overall survival. Also for ramucirumab, the Phase 3 RA study in first-line breast cancer failed to meet its primary endpoint of increased progression free survival. The company also made substantial progress on the regulatory front as it completed the rolling DLA submission in the U.S. for ramucirumab as a single agent for advanced gastric cancer and completed the E.U. submission for the same indication. This morning, the FDA granted Priority Review designation. Eli Lilly also submitted dulaglutide for Type II diabetes in both, the U.S. and Europe and along with Boehringer Ingelheim, submitted empagliflozin for Type II diabetes in Japan. Disappointingly, the company received the final decision for the centers for Medicare and Medicaid services that provide coverage with evidence development for the use of beta-amyloid Positron Emission tomography imaging agents, including its approved product Amyvid. 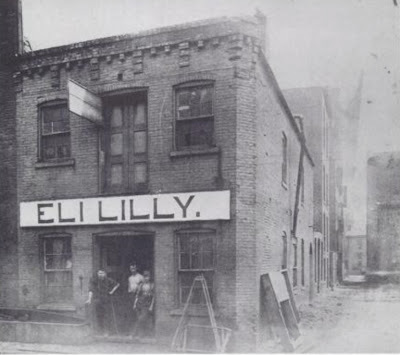 Eli Lilly Board of Directors authorized a new $5 billion share repurchase program, which the company intends to complete over a multi-year period. Worldwide revenue increased 6% driven by growth in key products, including Cymbalta, Alimta, Cialis, Tradjenta, Humalog, Strattera, Humulin and Animal Health. Gross margin as a percent of revenue is 79.2%, an increase of a 130-basis point over Q3, last year. The increase in gross margin percent was driven by higher prices and lower manufacturing costs partially offset by a smaller benefit from the effect of foreign exchange on international inventory sold. Total GAAP operating expense, the sum of R&D, SG&A and other special charges, decreased 4%. This decrease was driven by a 6% decline in SG&A expenses and by a $53 million asset impairment charge in last year's quarter with no similar charges this quarter. The decline in SG&A expense was driven by ongoing cost containment efforts, including the previously announced changes to the company’s U.S. sales and marketing activities related to the upcoming loss of exclusivity for Cymbalta and Evista. R&D expense increased to 3% this quarter driven by higher early stage research expenses. The growth in revenue, increasing gross margin percent and decrease in total operating expenses combined to produce a 42% increase in operating income. You may recall that in Q3 last year, Eli Lilly recognized $788 million of income related to early payment of Amylin's financial obligations related to exenatide. The company had no such income this year, and other income and deductions was a net deduction of $31 million in the quarter. Eli Lilly’s GAAP tax rate decreased by 8.7 percentage points, due to the taxes payable in the third quarter of 2012 on the payment received from Amylin, and to a lesser extent the reinstatement of the R&D tax credit in the U.S. effective January 01, 2013. As a result, the company’s Q3 GAAP net income declined 9%, while the decline in GAAP earnings per share was slightly less at 6%, reflecting the benefit of our share repurchases late last year and early this year. Now let's turn to Eli Lilly’s updated 2013 financial guidance. The company have revised two line items. First, Eli Lilly raised the bottom end of EPS guidance by $0.05. This brings the company’s full year non-GAAP EPS guidance range to $4.10 to $4.15 per share. Second, the company is now forecasting capital expenditures to be approximately $1 billion. Eli Lilly did not raise the top end of its full year EPS guidance range despite beating Q3 EPS consensus by $0.07. To make the math work, this means that consensus EPS for Q4 needs to come down by roughly $0.07. It appears that the difference between the company’s expectations compared to the streets for the split of EPS across Q3 and Q4 falls down to the expected sales erosion for U.S. Cymbalta. U.S. Cymbalta sales by quarter, this year have been $1.1 billion, $1.2 billion and $1.1 billion for the first three quarters of this year. For Q4, the street average is just under $800 million, which represents two full months of sales at the recent run rate. Eli Lilly’s expectation is that U.S. Cymbalta sales will come in well below current consensus. First, the company expects minimal wholesaler repurchases after the patent expires on December 11. Second, it expects minimal wholesaler purchases in the first two to three weeks leading up to the patent expiration as wholesalers work down their existing inventories to post-patent expirations levels. In Q4, Eli Lilly will also take a substantial reserve for expected future returns. As a result, the company anticipates that U.S. Cymbalta sales in Q4 will be closer to $500 million or half its recent quarterly run rate as opposed to the nearly $800 million that is reflected in sell side consensus. In the coming quarters, Eli Lilly’s financial results will reflect the U.S. patent expirations for Cymbalta and Evista. 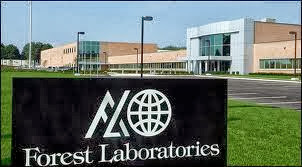 The company is ready for this challenging financial period and remains well positioned to invest in R&D, recapitalize its asset base and gauge an optimistic business development and return substantial cash to shareholders by paying dividend at least at this current level in 2014 and beyond and by repurchasing shares under the company’s recently authorized $5 billion program. In 2014, Eli Lilly will also see more Phase 3 data readouts and could have additional regulatory submissions as well as multiple product launches. This is an exciting time and the company remains focused on continued execution of its innovation based strategy to bring value patients, physicians, payers and shareholders. I believe there are 4 dimensions of a truly great company; innovation, excellence in execution, talented people and sustained shareholder return. Regarding innovation, Forest has been successful with this approach of licensing and developing new and innovative drugs to address patient need. And the company’s recent track record of 7 regulatory approvals since 2009 speaks for itself. Now that they are approved, flawlessly executing these launches and finding new channels to reach target customer is Forest’s biggest short-term priority. The Forest team is strong, talented and committed; people are the company’s greatest strength. This company has created a lot of shareholder value over its history. Forest’s top priority in the near term is maximizing the brand performance, including achieving further uptake of Linzess by expanding the prescriber base and taking share from competing products, including OTCs; fueling the shift from Namenda to Namenda XR; there's a lot of value to stakeholders in moving to XR, especially patients and caregivers; engaging a hand-to-hand combat to gain share in the respiratory COPD market; maximizing the Bystolic opportunity; and launching FETZIMA well in December. Second priority is to deliver on some very important near-term pipeline opportunities, including cariprazine, which is expected late this year and the combination program. Third priority is to develop plans to reduce the company’s cost structure in a manner that does not detract from the launches in the near-term pipeline priorities. Second quarter was strong in terms of sales levels and growth rate. Namenda XR, Forest’s recent product launch, is off to a very strong start and currently running ahead of expectation. And sales in prescription levels for the company’s two newest products, Linzess and Tudorza, continues to increase at a nice pace. Also preparations for the launch of levomilnacipran, SNRI for depression, are on schedule, and Forest looks forward to the introduction of that product. Total revenues were $855.3 million versus $760.6 million last fiscal year. Product sales were $811.4 million versus $692 million last year. Contract revenue was $36 million and included $35 million from the Benicar agreement. Interest and other income totaled $7.8 million. Wholesale inventories decreased to just under half a week this quarter compared to last quarter with just over 2 weeks. The impact to sales is approximately $23 million. Campral, $2.9 million; Celexa, $3.1 million; Cervidil, $15.3 million; Esgic, $0.2 million; Europe, $41.3 million; generics, $7.1 million; Lexapro, $21.7 million; Lorcet, $0.7 million; Monurol, $1.6 million; thyroids, $10.1 million; and Tiazac, $0.5 million. And just for information, the Benicar third-party sales were $200.5 million for the quarter. Earnings for the second fiscal quarter reflected solid sales in Namenda franchise and lower spending for research and development expenses. Forest now expects that non-GAAP earnings per share for the full fiscal year will be in the range of $0.95 to $1.15. The company’s guidance for the total product sales and total net revenue for the fiscal year remain unchanged in the range of $3.3 billion to $3.5 billion, respectively. With regard to the quarterly phasing, the company expects a breakeven non-GAAP EPS to be reported in the fiscal third quarter. Product sales will be sequentially lower, impacted by elevated discount rates, largely attributable to the Medicare Part D coverage. SG&A expense is expected to be sequentially higher due mainly to the launch of FETZIMA and timing of other marketing expenses related to the launch of products. R&D is also expected to be sequentially higher due to the timing of milestone payments in the quarter, approximately $50 million. Revenues in the fourth fiscal quarter will be sequentially higher, reflecting continued growth of Forest’s new product launches and lower discount rates on the product sales. SG&A expense and the cost of R&D are expected to be moderately lower than the third quarter. Sales were up 6% in constant currency. Core operating income was up a point, 1%, in constant currency as was core EPS. The company also made good progress in the pipeline for the quarter. Net income was $2.3 billion for the quarter, up a percent that was down, though, 6% U.S. dollars. Free cash flow was quite strong at $3.5 billion; it was up versus a year ago in U.S. dollars, up by about a percent. Novartis continues to make progress on its three strategic priorities. In innovation, the company had four key approvals during the quarter. In terms of accelerating growth, the company’s net sales grew in all divisions, driven by the growth products that were up 17% in constant currencies and also by emerging markets. The pharma division had some important product approvals. Two of the most critical were the Japan and Europe approvals of Ultibro in COPD. This is a new therapy for COPD, and Novartis is right now in the process of launching that drug across Europe and Japan. In vaccines and diagnostics, the FDA approved an indication expansion for Menveo to include infants and toddlers from two months. Novartis also received FDA breakthrough therapy designation for BYM338. This is antibody for a degenerative muscle disease called sporadic inclusion body myositis. If it’s approved, this will be the first treatment for patients with this disease. And I think the important thing is this designation brings the company’s total to three in terms of new molecules, and that’s the highest achieved of anyone since the program began. For Alcon, the company has built now a complete refractive surgical suite, with the launches of two new pieces of equipment, Verion and Centurion. This is important because the upfront diagnostic piece, the GPS, is able to take an image of the eye and then it communicates with the other pieces of equipment downstream, from laser incision to cataract removal, and this is now a more automated surgical procedure that will improve patient outcomes for those patients with cataracts. In Sandoz, Novartis also strengthened its leadership in biosimilars, launching a simple and secure device for Omnitrope. This is the fastest-growing human growth hormone worldwide and it generates about $200 million in sales annually. This is going to help the company differentiate this biosimilar. Now, the second priority of accelerating growth, you can see the growth rates for all of the divisions, starting with double digit growth in Sandoz in consumer health in constant currency, and good, solid growth in Alcon and in pharmaceuticals. Pharma core operating income was negatively impacted by generics, the generic impact of Diovan and Zometa, as well as investments into the pipeline. Novartis growth products, though, continued to play quite a key role in driving its performance and were up 17% in the quarter, to just over $4.5 billion, but importantly, they’re now up to about a third of the company’s total group sales. Now touching on the division highlights; starting with pharma. You can see the growth products grew nicely in the third quarter, particularly Gilenya and Afinitor, with growth that was over 65% versus a year ago. Alcon grew 6% in the quarter, and this was driven by very strong 9% growth in the surgical franchise. This was, again, driven by the cataract segment. It was both an increase in procedures as well as improvements in overall market share. For Sandoz, you can see that the company had a strong quarter across the globe and really grew faster than market in all regions around the world, for the generics business. And then in consumer health, Novartis continued to show very strong growth this quarter. OTC delivered double-digit growth. This was driven not just by the U.S. relaunch, but also outside the U.S. The company has brands growing like Voltaren and Otrivin growing in the teens. So this is a business that is performing very well. Animal health also has successfully relaunched Sentinel back into the U.S. market. Now, in the third quarter Novartis’ emerging markets business grew about 9%. China and Russia led that growth with 18% growth in China and 15% growth in Russia for the quarter. And then on productivity, the company is on track to deliver its productivity targets of 3% to 4% of net sales. Novartis is now standing at almost $1 billion in savings for the first nine months of 2013. M&S as a percentage of sales dropped again, about 30 basis points, versus prior year. Yesterday the FDA completed a week-long inspection of Novartis’ Lincoln, Nebraska manufacturing site. It was a very thorough inspection, and we got the news last night that they have closed out the inspection with zero 483 observations. At the start of the year, the management said 2014 and 2015 growth rates would be at least mid-single digits and core operating income growing ahead of sales in constant currencies. This remains intact, but obviously needs to be adjusted for the Diovan mono generic upside in the U.S. Clearly 2014 reported growth rates will be impacted by the timing of Diovan mono generic entry in the U.S.
Let’s take a look at Revised Full Year Outlook for 2013. The company is raising its full year outlook again. This assumes that Diovan mono generic does not enter the U.S. market in Q4. In terms of reported results, Novartis new full year guidance in constant currencies is group net sales rates to grow low to mid single digits, group core operating income to be in line with or better than 2012, and pharmaceutical sales raised to grow low single digits. Iclusig was approved for patients with refractory Philadelphia-positive leukemia in December of last year by the FDA and July of this year by the EMA. At the time the PACE data were analyzed and submitted for regulatory review and approval some cardiovascular, cerebrovascular, and peripheral vascular events had begun to be observed. The approval of Iclusig was a consequence of a positive risk evaluation by the agency as well as by the EMA taking into account these events. Ariad has analyzed the PACE data continually since their initial submission. Patients have continued to benefit from Iclusig therapy. Responses of patients in chronic-phase continue to prove to be durable and over 90% of responding patients remain in response. Yet with increasing exposure and longer follow-up the arterial thrombotic events have continued to be observed. Iclusig provides benefit to many patients who have failed prior TKI therapy and the company is dedicated to studying and understanding the optimal way to utilize the drug therapeutically. Ariad anticipates that the clinical hold that the FDA has enacted will be temporary and will allow the company to institute modification to initial doses and to doses for patients already undergoing therapy. The company does not have data supportive efficacy in situations of dose reduction and this data will support its evolving dosing recommendations. Ariad plans to resume new patient enrollment as soon as it is feasible with FDA guidance. As part of the long-term follow-up of the pivotal PACE trial, now with the median follow-up of approximately 24 months, serious arterial thrombosis occurred in 11.8% of Iclusig treated patients. Specific events rates were cardiovascular events 6.2%, cerebrovascular events 4.0% and peripheral vascular events 3.6% with some patients having more than one type of events. This compares to initial serious arterial thrombotic incidents of 8.0% after 11 months of follow-up reflected in the current U.S. prescribing information for Iclusig. At approximately 24 months, serious venous occlusion occurred in 2.9% of Iclusig treated patients compared to 2.3% in the current U.S. prescribing information for Iclusig. The incidence rate of these updated events were normalized, the duration of treatment exposure has not increased, being approximately 10.0 events per 100 patient years in initial analysis and 9.6 events per 100 patient years in the current analysis. Non-serious and serious arterial and venous events combined occurred in approximately 20% of Iclusig treated patients. Patients who are currently receiving Iclusig in clinical trials will continue on therapy. Reductions in Iclusig dose from 45 milligram daily will be implemented on a trial-by-trial basis for patients whose Iclusig treatment is ongoing. The dose of Iclusig in patients who are currently enrolled in the EPIC trial will be reduced to 30 milligrams daily unless they have achieved a major molecular response or reach one in the future in which case the dose will be further reduced to 15 milligrams daily. The data monitoring committee of the EPIC trial has endorsed these changes. The eligibility criteria for all Iclusig clinical trials will be modified to exclude patients who have experienced prior arterial thrombosis resulting in a heart attack or a stroke. The PACE trial demonstrates continued efficacy after dose reduction of 270 chronic-phase patients in the pivotal study, 190 or 70% of patients were dose reduced to either 30 milligrams or 15 milligrams daily. Of 110 of those patients, 58% patients who initially achieved a major cytogenetic response, over 90% of these patients maintained this response after a median follow-up with 19 months despite dose reduction and of 35 patients who achieved the major cytogenetic response and subsequently reduced to 15 milligrams all but two patients maintained the response. Harvey J. Berger, M.D., Chairman and Chief Executive Officer said ‘At this time the U.S. prescribing information for Iclusig remains unchanged. Iclusig continues to be available in the U.S. to patients with resistance or intolerant CML and Philadelphia-chromosome positive ALL in the commercial setting at the approved once-daily dose of 45 milligrams. We've been in consultation with the FDA and other health authorities regarding potential changes in Iclusig product labeling to reflect the updated information’. “Business continues to grow, as demonstrated by third quarter performance. While global comparable sales of 0.9% were not as high as we’d like, operating income grew 6% in constant currencies and earnings per share was $1.52, a 7% increase in constant currencies” Don Thompson, President and Chief Executive Officer. Comparable sales were up 0.7% for the quarter, and operating income increased 5%. We accelerated the timing of our Monopoly promotion in an effort to further increase awareness and encourage trial of recent new product introductions like Quarter Pounder line sandwiches and the new McWraps. Monopoly also reminds customers about our core menu classics. 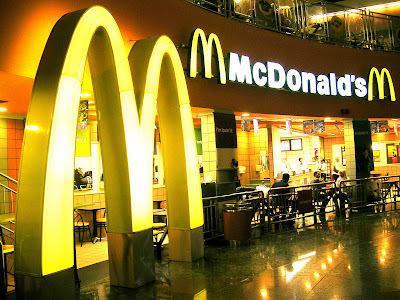 It drives traffic and builds average check while also engaging customers in a fun and familiar game experience that’s only available at McDonald’s. We also introduced Mighty Wings in the third quarter as a limited time offer. This bold new flavor addition to our U.S. menu originated in China and Hong Kong and has encouraged trade up to increase average check. While overall performance of Monopoly and Mighty Wings met our internal targets, it was not strong enough to offset current guest count trends. Our promotions and new products are complemented by our consistent value approach to offer affordable variety and choice across the menu. The Dollar Menu remains core to our high-low strategy, with products like the Grilled Onion Cheddar Burger and the popular McChicken are continuing to generate strong demand at the $1 price point. As we celebrate the 10-year anniversary of the Dollar Menu, we’re leveraging the equity we’ve built to ensure we continue to satisfy our customers’ expectations for affordability. The new Dollar Menu and More platform is designed to provide every day, predictable value beyond the $1 price point and will be supported with the weight of our national advertising. The sandwich lineup which ranges from $1 to $2 adds new flavors and tastes to complement our existing favorites and provide additional pricing flexibility for the McDouble. Europe, where comparable sales were up 20 basis points for the quarter and operating income grew 8% in constant currencies. These results reflect strong performance in the U.K. and Russia and solid performance in France. Negative trends in Germany continue amid the highly competitive environment. The U.K.’s business momentum remains strong, and we continue to grow market share. This growth has been supported by our expanded beverage lineup and an ongoing breakfast focus. This month, we’re launching Mocha in the U.K. and using this opportunity to introduce the McCafe brand across our entire range of espresso-based coffees. Following the successful launch of McCafe iced smoothies and frappes over the summer, this represents a significant step in our journey to become a beverage destination in the U.K.
Russia delivered positive performance in the third quarter despite the lower inflationary environment that continues to limit our ability to take price. Successful food offers such as tastes of the season and the Ciabatta Beef Burger helped boost results for the quarter. France also delivered positive results for the quarter, marking its first positive quarter of comparable sales since the third quarter of 2012. The market continues to grow share in contracting industry. A core menu focus, supported by strong marketing execution and an ongoing emphasis on affordability helped to drive our performance. Germany’s performance remains weak, as negative comparable sales and traffic trends continued through the third quarter. Competitive activity remains aggressive, and a decline in the IEO category persist as the industry grapples with price-sensitive consumers. Today, affordability, and specifically price value, is key in Germany. We continue to evolve the balance between our base value and premium offers across the menu to address the near term needs of the marketplace. Comparable sales were down 1.4% for the quarter, and operating income decreased 4% in constant currencies. Performance across our big three markets remains challenging, this reflects tough macroeconomic conditions along with the performance of recent new products and promotions that were unable to overcome our current negative guest count momentum. Across APMEA, we remain focused on driving performance through consistent price value offers, accelerating growth of key day parts, particularly breakfast and overnight, and by leveraging brand extension to enhance the service and convenience of the McDonald’s experience. Australia continues to balance new product news and strong promotional activity to appeal to customers in a highly competitive environment. Looking ahead, Australia is targeting opportunities in chicken and the family business to broaden customer appeal. Japan’s negative comparable sales and traffic trends persist. We’re committed to making improvements to our value platform in the near term in an effort to appeal to consumers who remain extremely price sensitive in this deflationary environment. At the same time, we’re introducing new products and promotions to create excitement and attract customers into our restaurants. In China, comparable sales were down 3.2% for the quarter. As a key emerging market, China has significant long term opportunities across all three of our growth priorities. We’re also evolving our value platform to give it greater reach across day parts and meal occasions. At the same time, we’re using limited time offers and promotions to create energy around new menu news. And, we’re leveraging brand extensions like kiosks and McCafes to reach our customers when, where, and how they want the McDonald’s experience the most. On the first quarter call in April, I said that we expected company operated margins to be pressured throughout 2013, though the margin decline should be less pronounced than in the first quarter, as sales comparisons ease in upcoming quarters. Though sales comparisons have eased and will continue to do so, our current sales trends are a stronger predictor of future performance than prior year comparisons. As a result, based on what we know today, we expect fourth quarter global comparable sales performance to be in line with recent quarterly trends and restaurant margin percentage declines, both McOpCo and franchised, to be at a level relatively similar to first quarter declines. ViralBond. Awesome Inc. theme. Theme images by andynwt. Powered by Blogger.